At the first half of yesterday morning, it looked like the entire cryptocurrency market would break over $300 billion – unfortunately, that didn’t occur. At press time, the current cryptocurrency market cap is sitting just under $260 billion. Bitcoin (BTC) currently holds 45.4% market dominance. There isn’t any clear reason, such as a new cryptocurrency regulation or banning implemented that would cause the sudden market correction but corrections in any market are to be expected. Last week, it was announced publically by IBM that they are currently running nine Stellar nodes. The initial partnership was finalized in October of last year but since the initial announcement, there had been radio silence up until now. 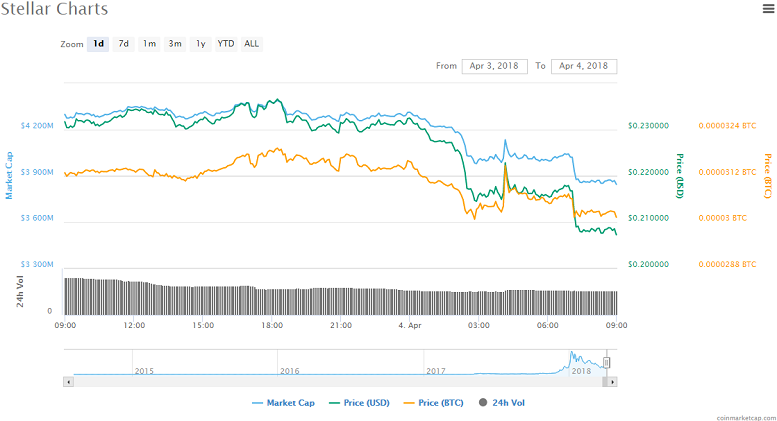 XLM saw slight price gains as investors caught wind of the latest IBM-Stellar update but today, it seems that ramp up had faded. IBM is just currently testing the Stellar network for cross-border payments but is open to exploring other blockchain projects. If this test goes well, this could be monumental for the Stellar project. At press time, XLM is trading at $0.207 a coin, down -10.26%, in 24 hours. For the month, XLM is down -41.3% and year-to-date, the coin is down -42.5%. Could this be the turn-around for Stellar? In the middle of his 62 twitter post conference commentation, he even calls out Tron. A few months back, rumors flew around that Tron’s whitepaper was plagiarised and it seems that Buterin wanted to stir that pot again, following Tron’s test net launch. It seems that the founder isn’t done taking shots as this tweet, was just “retweeted” by him today, in regards to the news that John McAfee charges over $100,000 per tweet to promote a blockchain project. How much to make sure McAfee *doesn’t* tweet about your project? I’m not sure who ruffled Vitalik’s feathers but it seems this is far from over – who will he call out next? At press time, ETH is trading below $400 at $376 a coin, down -7.24%, in 24 hours. Just two days ago, VeChain jumped in price nearly 20% when investors learned that VEN and VET would be listed on the major cryptocurrency exchange Bithumb. It seems that ramp up has since died as the cryptocurrency is seeing the most price percentage losses today out of all the cryptocurrencies in the top 100. When VeChain rebranded to VeChain Thor a few weeks ago, a BMW partnership was announced prematurely. Recently, the companies have both commented on the details of this partnership. While the rebranding is set to take months, hopefully, new details of this major partnership will slowly drip out. At press time, VEN is trading at $2.45 a coin, down -14.64%, in 24 hours. NANO rebranded back in February of this year formerly known as Raiblocks (XRB). Nano is looking to become a global cryptocurrency that offers instant transactions with zero fees, like EOS. The NANO team has lofty goals to become the platform that offers fast and free payments for anything instantly around the world. Just recently, they published their roadmap for their rebrand and you can view it here. If successful, Bitcoin (BTC), Dash, and Litecoin could become obsolete for day-to-day crypto payments. At press time, NANO is trading at $5.25 a coin, down -8.32%. 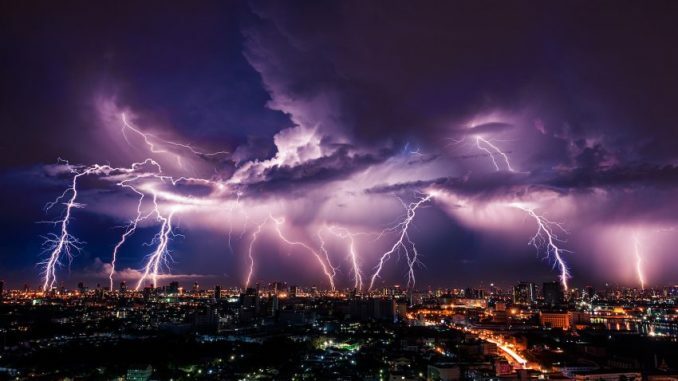 Ethereum [ETH] Crashes Below $400 – Will it Recover?